You probably know that it was Scottish engineer Robert Watson−Watt who pioneered the first successful radar systems. During World War II, America benefitted from improved magnetron designs from Great Britain to help build both ground-based air defense radars and, later in the war, airborne radars. This article from a 1972 issue of Popular Electronics reports on state-of-the-art (at the time) marine radars from England for pleasure boats. In 1972, a radar with a 16-mile range was priced at around $2,000, which is equivalent to a little more than $11,000 in 2017 dollars. By comparison, you can now buy a compact microprocessor-controlled color marine radar (Si-Tex) with a 27-mile range for a mere $1,650 from Amazon. With the defeat of the Spanish Armada in 1588, England first proclaimed her supremacy of the High Seas! If current trends are any indication, Britain is again determined to dominate the world's water­ways-at least with respect to marine radar in the rapidly growing pleasure-craft boating market. In recent years, the production of small-craft radar by the marine divisions of such notable American electronics firms as Bendix, RCA and others has been discontinued. Among the major companies, Raytheon remains as the only "Yankee" manufacturer of radar for the yachtsman. Almost without notice, English radar manufacturers have been quietly slipping their products into this country to fill the newly created void. 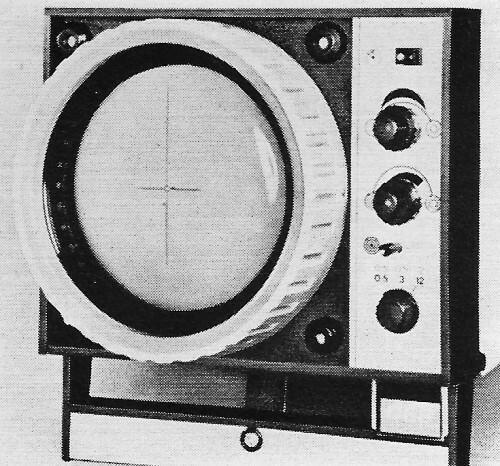 Among those Anglo-Saxon invaders who have led this assault on the American radar market are some of England's largest and most diversified electronics companies, including Decca Radar, Ltd., EMI (Electrical and Musical Industries), and Plessey Electronics Group. In addition, Kelvin-Hughes and Astron-Bird, Ltd. have taken their share of the radar market in North America. This is an uncommon turnabout of the development of "electronics colonialism" of which U.S. electronics companies have often been accused - that is, the taking over or largely controlling segments of the electronics industry of Britain and other European countries since World War II. Decca 101 radar indicator is mounted conveniently on hinged fold-down door. New Decca 050 radar has compact indicator which can be removed for stowage. Decca Radars. 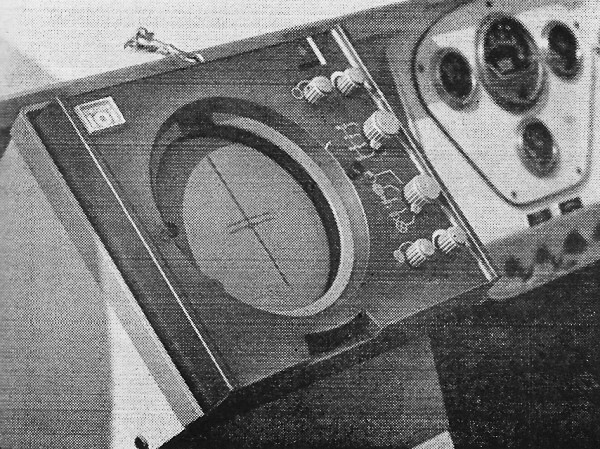 London-based Decca Radar, Ltd. has been the unquestioned industry leader, to date, producing its first marine radar in 1949. Decca has managed to stay "number one" in sales, in large part due to their sizable research and development organization. They have consistently turned out some of the industry's most advanced state-of-the-art equipment. This is evidenced by the very popular and stylish Super #101 18-mile range radar. The #101 has won, for the company, the coveted "Queen's Award to Industry" three consecutive years in a row, for outstanding achievement in exporting and technological innovation. In addition, Decca boasts a worldwide network of over four-hundred repair-warranty stations to service their radars, no matter where a Decca-equipped vessel might find itself. The Decca technician in the field reports, in detail, on all repairs made and parts replaced. With this information a comprehensive "case history" file is compiled in England on every radar they have ever manufactured, which number almost 40,000 to date. Decca is in sharp contrast to the stereo-typed English business which conducts its commerce in a traditionally reserved and unimaginative manner. This is one company that has shown that American business holds no monopoly in salesmanship ability, in aggressively promoting their product line. At the London and New York Boat Shows held in January of this year, Decca introduced their latest radar - Model 050. The 050 is the smallest and least expensive radar that Decca engineering has so far produced. It is designed to fill the need of the boat owner who, heretofore, had not been able to accommodate, or afford, the traditionally large and expensive radars. Plessey Electronics. 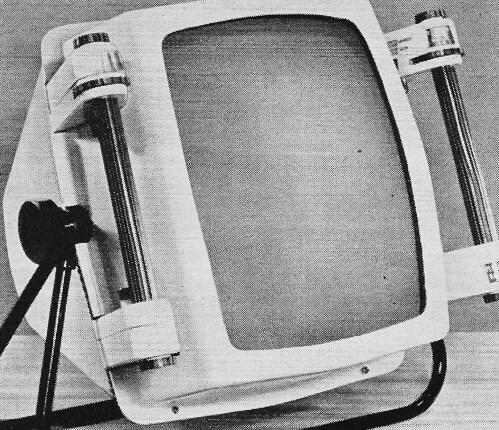 Having been one of the United Kingdom's largest producers of radar for defense, surveillance and meteorology, it seemed quite natural for Plessey Electronics to enter the small-craft radar business in 1968. Their Model MR-12, 16-mile range radar, incorporates the latest technology and some rather imaginative engineering. They have employed a rectangular cathode ray tube for viewing, rather than the traditional round picture tube. The MR-12 is also the first marine radar to use integrated circuits extensively, as well as to incorporate an advanced design logarithmic receiver. A special feature for the operator is an electronic bearing marker (rather than a mechanical one) which is usually found only on military and large commercial radar systems. For ease of maintenance. most circuit functions are assembled on individual printed circuit boards to provide quick troubleshooting and replacement. Plessey's unique MR-12 indicator has its operating controls in the handles. Rotating antenna can be seen through transparent window of EMI radar unit. 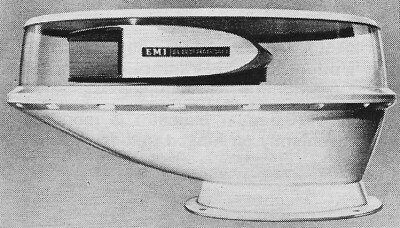 EMI Radars. A recent entry into the radar market is the new Electrascan, 16-mile range radar, from EMI (the giant, global corporate conglomerate). The Electrascan's most unique characteristic is its Autolert feature. When activated, a loud audible tone sounds out if any target, such as a rock, another vessel, or the coastline, becomes visible on the radar screen. Autolert is like having an extra crew member aboard to keep constant watch with the radar. This leaves the vessel's skipper free to leave the helm, momentarily, for other duties or even to go below, should a need arise. A convenient panel-mounted meter assists the operator in obtaining optimum tuning for the sharpest picture, while alternately serving as a transmitted power level indicator. Installation of this radar system has been simplified by designing the power supply into the indicator, resulting in a radar of only two units (indicator and antenna). Along with its marine radar, EMI has introduced a full line of instrumentation for the yachtsman, including a knotmeter with built-in log (water speed and distance indicator), two depth sounders and a combination wind speed and wind direction instrument. Electronics Laboratories. Electronics Laboratories, Ltd. is headquartered in Poole, Dorset, on the English Channel. It has become the latest company to export marine radar to the States by its acquisition of the Astron-Bird group, a long-time producer of radar for maritime applications. 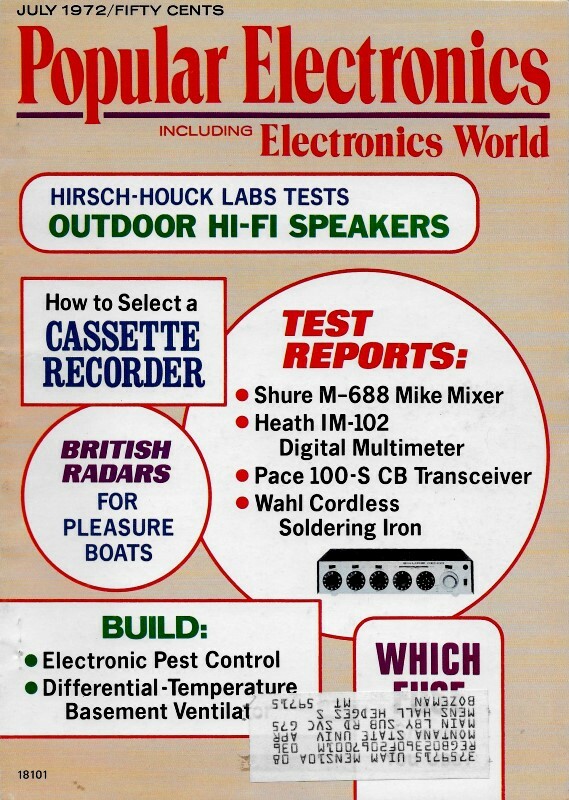 Electronic Laboratories, Ltd. is no newcomer to the marine electronics industry. 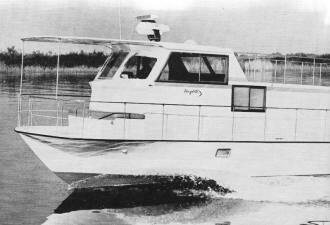 They manufacture the Seafarer Range product line, which is well known to anybody who owns a boat bigger than a dinghy. They experienced virtually overnight success with their versatile and inexpensive Seafarer MK II Depth Indicator. In an amazingly short time, the MK II became the world's largest-selling depth indicator. The Seascan will be their 1972 entry into the marine radar market and may yet prove to be the most exciting. The indicator is extremely compact, weighing only 12 pounds and is priced to sell for less than $2,000.00 - the lowest price ever for a complete six-range, 16-mile range radar with anti-sea and anti-rain clutter functions. Power consumption is an unbelievable 48 watts - almost 1/3 the current power requirements of competitive units. The customary microwave klystron, used as the local oscillator in the receiver section of most marine radars, has been replaced with an advanced Gunn diode assembly in the Seascan, keeping its design in pace with the latest technology. Only time will show if the Seascan will be another overnight success like the Seafarer MK II. Two other new radars have been introduced to round out Electronic Laboratories, Ltd.'s line for the pleasure boat. The Seavista is a 24-mile range radar with a rectangular CRT display. The indicator is uniquely equipped with a carrying handle and quick-disconnect cables, allowing this radar to be moved to another location on the boat, if desired. The Astron 200, a deluxe commercial quality radar, also "sees" 24 miles in range, and will find applications on some larger luxury yachts. It is evident that the British, probably for the first time, have beaten us at our own game! They have successfully managed to take over a small electronics industry here in our own backyard. It's not that they are trying to get even with us for 1776 and 1812. It's just that, in this particular area, they have indeed shown technical and economic superiority.